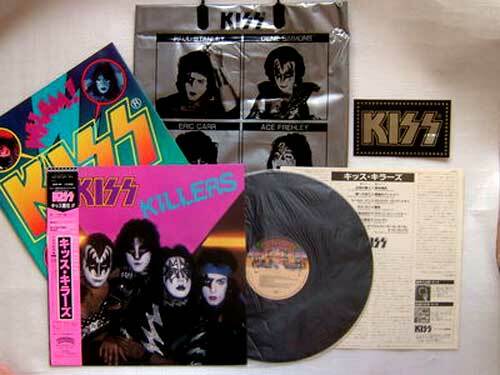 KISS 1982: How a record company can make you look backwards. It won’t kill you, but it might hurt you like a girl slap. irstly, Jesus! The assface record company could not come up with a more clichéd name? 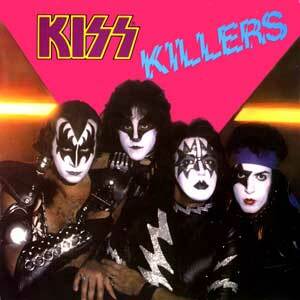 Killers is the 18th overall release for KISS, and their 2nd Greatest Hits compilation. And also the name of Iron Maiden’s 2nd album (1981). And Killer was the name of Alice Cooper’s 4th album (1971). Released only outside the United States in mid-1982, as a stopgap to staunch the bleeding from (Music From) The Elder, it only exacerbated the wound, while KISS worked on their real hard rock followup, Creatures Of The Night (Oct 1982). The KISS lineup at this stage was in flux. Guitarist/vocalist Paul Stanley and bassist/vocalist Gene Simmons still helmed the rock and roll kabuki outfit, with new drummer Eric Carr having performed on just one album (The Elder) and founding lead guitarist Ace Frehley officially leaving the band, contracted to just a few more promo appearances. Killers contained 10 or 11 “greatest hits” (depending on the country of release) and there were four new studio tracks. Some say the studio tracks were unused demos from The Elder, while some say they’re the greatest KISS songs ever written (those “some” are the under 20s who just discovered Dynasty two months ago). So what is the reality behind these four displaced songs? Well, they’re thinly-produced attempted hard rockers that are completely out of context, adrift on an album of greatest edited hits. Greatest Hits albums are snide and avaricious and edited badly at the best of times, but when your overarching distribution company (Phonogram Records, the parent company of KISS’s label, Casablanca) is responsible for the production, it is so far removed from the artist and understanding of that artist’s demographic that it’s a wonder the record is listenable. Such is the case with Killers. The edited classic tracks are slightly doctored for running time – they are not remixes or unreleased versions – and two new tracks lead each side of the album, misplaced against the backdrop of the other songs, in sonic quality and production. Produced by Michael James Jackson, the new songs are all written by Paul Stanley (aided by Adam Mitchell, Mikel Japp and Bryan Adams), whose vocal performances are exceptional on all of them, but the songs themselves lack heat, even with the great Bob Kulick lead guitaring all over them. 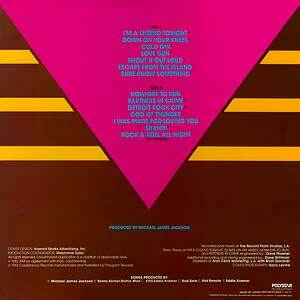 Each song individually is not bad, yet thrown onto this album (as a venal cash grab – to be able to sell to KISS fans who already had all the other cuts), they display a lack of purpose, almost like four throwaway songs or embarrassing filler deep cuts. Killers peaked at #6 in Norway, #21 in Australia, #27 in Japan. It became available as an import in the United States soon after its release. We can see how Elder rumors might arise with song titles like Nowhere To Run and I’m A Legend Tonight. Even if they were originally intended for that epic godhammer, the lyrics now reflect a generic girly appeal. There’s no doubting what Down On Your Knees is about. And Partners In Crime tells the tale of a married woman who has a compulsion to keep visiting Paul, both of them keeping their adultery secret. Let me express my doubts on whether that’s actually Eric Carr drumming on the new songs. It’s stock, it’s vanilla, it’s Peter Criss meets Phil Rudd, and Carr is just NOT this kind of drummer. Either producer Michael James Jackson and/or Stanley are really reining in Carr’s thunderous clubbing, or that’s a drum machine or hired gun. Reining him in was unlikely, considering KISS hired Carr for his throat-grabbing chops, displayed openly on The Elder, and then continued in cannonfire on Creatures Of The Night onwards. Also, Simmons and Stanley were trying to reclaim their hard rock footing, so would naturally let a great drummer like Carr rampage like a bison. So why is the drumming so “dead” on Killers? It’s a big reason why the songs have no drive, and the reason I think it’s a drum machine. Carr is shown on the front cover (but that means nothing, as we’ve discovered), and there are no musician credits anywhere on the album, which also lacks any liner notes. It doesn’t bode well that the front cover is a leftover picture from The Elder sessions with Ace Frehley. 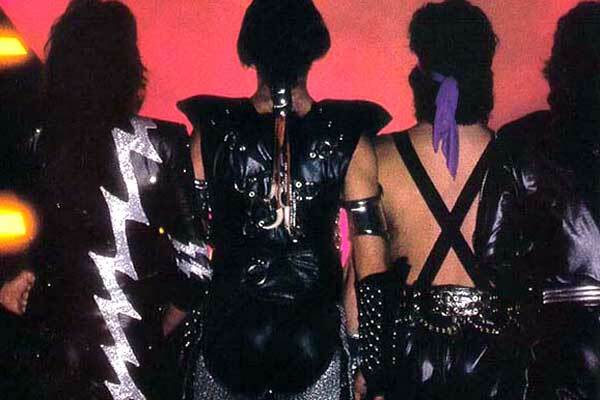 And it just seemed naff to fans that KISS were dressing in the same costumes two albums in a row… All these elements were warring together to create a muddied concept of KISS during this era. Not so much Killers as Maimers (But I Think I’ll Be Alright If I Just Walk It Off). Released: June 1982, Phonogram Records. Adam Mitchell, Mikel Japp, Bryan Adams. by Jon Dunmore © 17 Jan 2016.